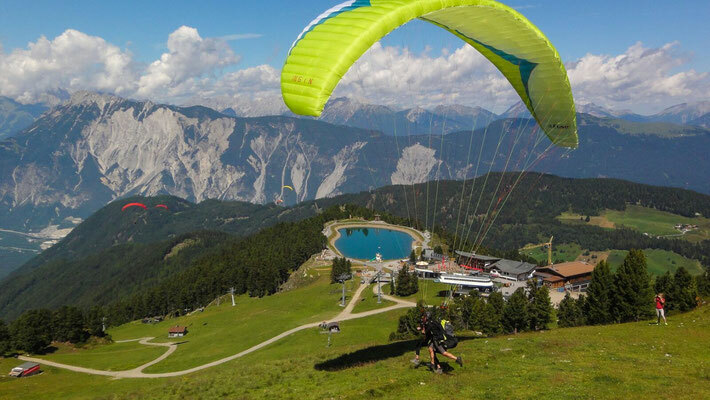 RAFTING – CANYONING – PARAGLIDING! 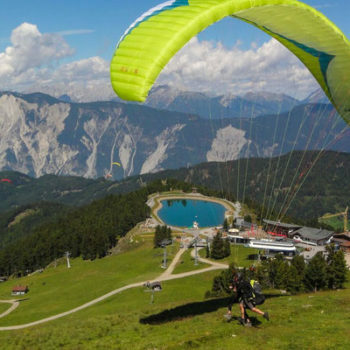 Experience the mountains – Enjoy many great experiences in the impressive Tyrolean mountains, such as the rushing water on a rafting tour, a spectacular canyoning tour through impressive gorges, or a bird’s eye view while tandem paragliding. MALSPORT OETZ – Your point of contact for outdoor sports! 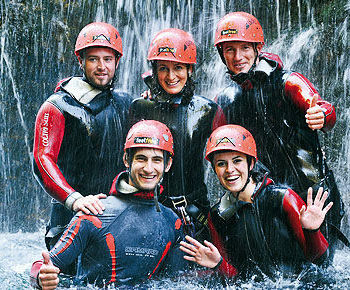 This tour is ideal for the whole family and is one of the most popular rafting routes in Europe. 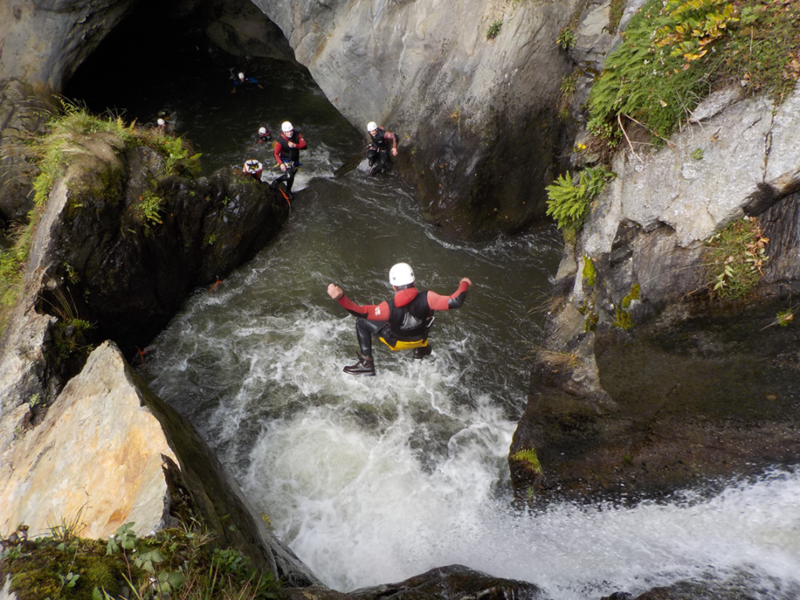 It leads through the beautiful natural landscape of the Imst Gorge and is popular with all adventures. 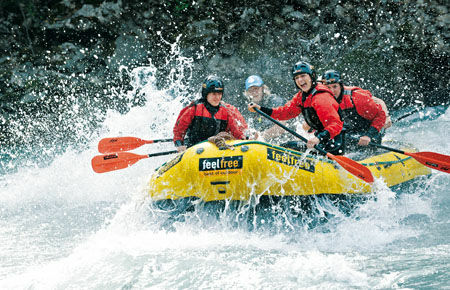 Impressive rapids, the massive rolling waters and the imposing waves make every rafter’s heart beat faster. 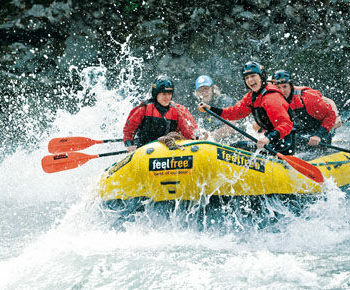 For all those who are looking for a new challenge and don’t have a rafting experience yet, this tour is just the thing! 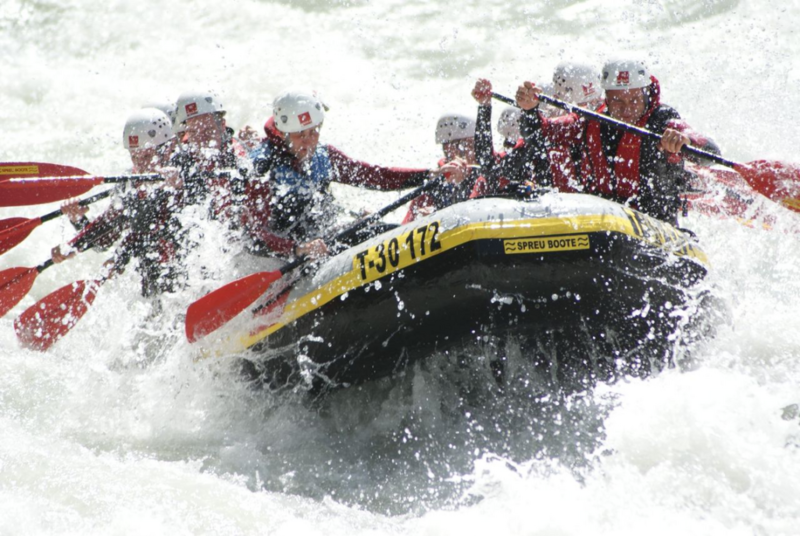 The Ötztal Ache with its foaming rolling waters, high flow speeds and thundering waves ranks among the top class of rafting stretches. 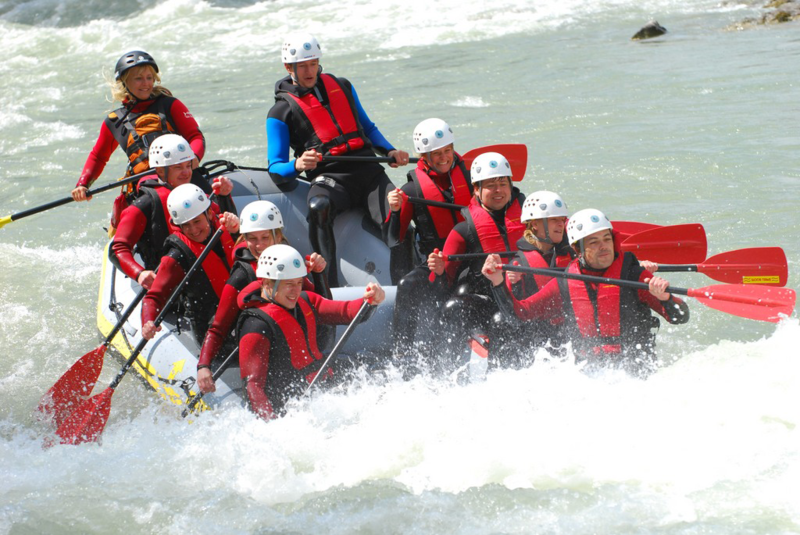 Experienced and professional rafters will have an unforgettable and adventurous experience on the Ötztal Ache. If you are looking for a special challenge, this is the right place. 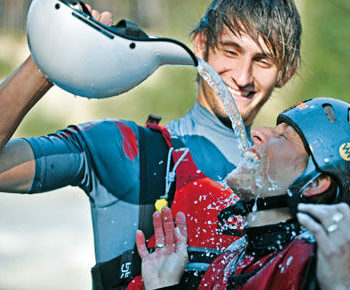 Pure river rafting – just take up this challenge! Is your daily routine going to your head? 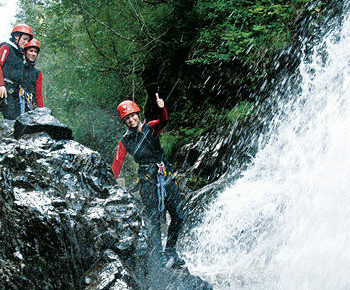 With the Sporty Canyoning Tour, you can let your thoughts run free. On this tour you will explore impressive gorges, high waterfalls and quiet ponds. 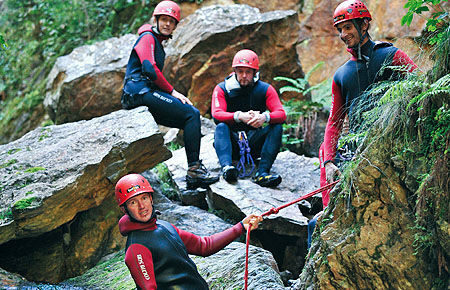 Canyoning is a combination of hiking, easy climbing, abseiling, sliding and jumping. 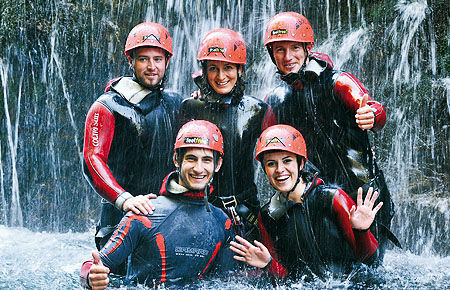 The Sporty Canyoning Tour is just right for all sporty canyoning beginners. Live your dreams. 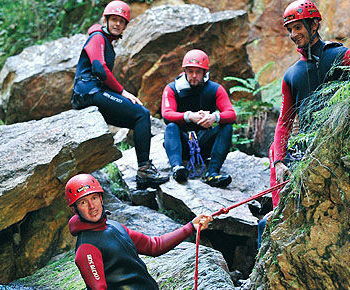 On the Ultimo Canyoning Tour you will experience breathtaking jumps from 2m to 16m into crystal clear pools (you can also abseil down here if you want) and abseiling sports of up to 10m. 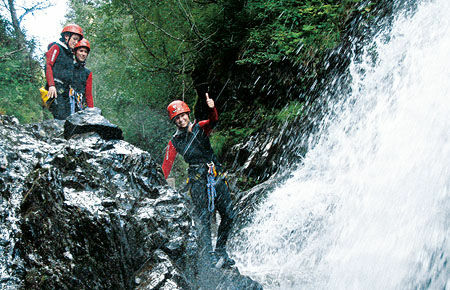 These targeted opportunities for an adrenaline rush offer pure action – take up the challenge! 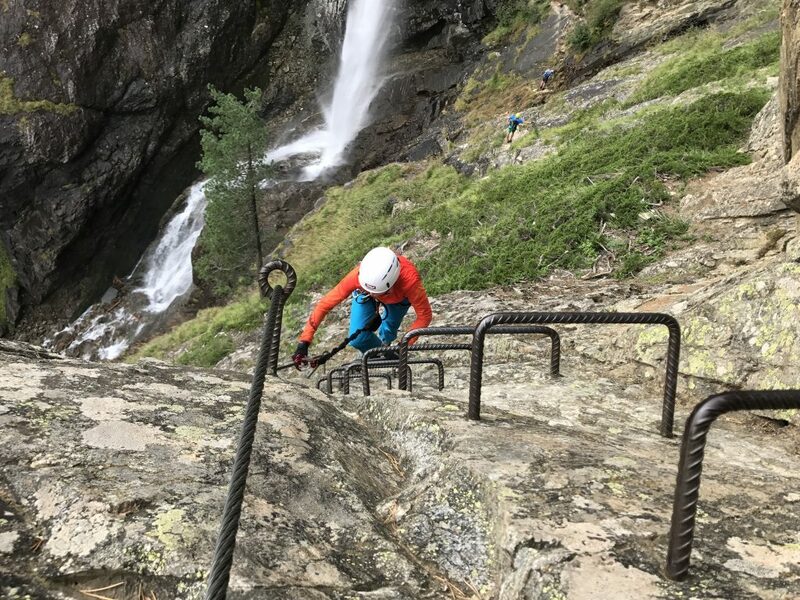 The Stuibenfall gets closer and closer as you wind up along the 20m high rock face in the via ferrata towards the waterfall. The decent over a suspension bridge is spectacular, as well as the view from several exposed viewing platforms. A tandem flight is the easiest and safest way to experience the indescribable feeling of flying. Whether young or old, big or thin, sporty or less sporty, our pilots will take almost anyone up into the air in suitable weather. Fly over the valley like an eagle with experienced and licensed pilots. A different perspective of everyday life! 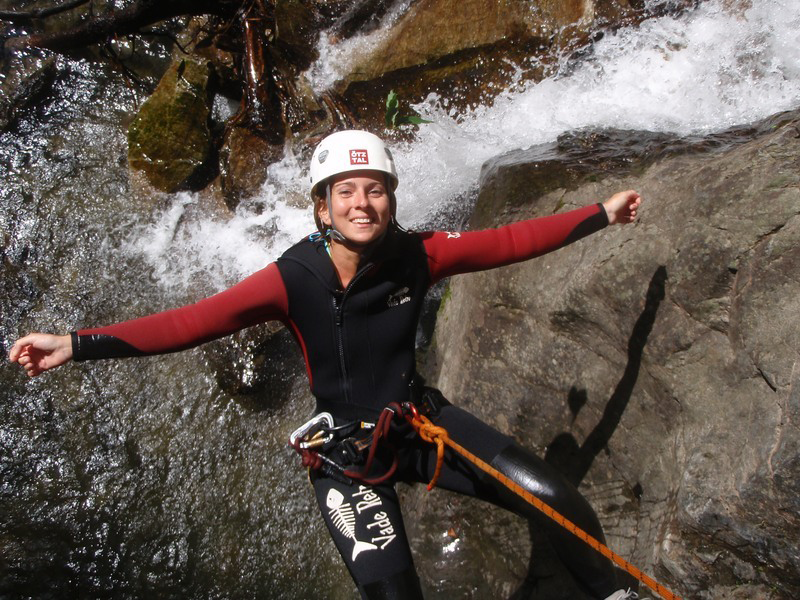 More tours such as cave tours, rafting tours, canyoning tours, climbing tours, via ferret tours, bike tours, an much more on request!